UPDATED 9:30 EST - additional anchors added to planned weekend schedule. CNN Domestic released their plans for Hurricane Irene coverage this weekend. This post updates should the need warrant. CNN Press Release: Hurricane Irene is projected to reach Category 4 status as it makes its way to the East Coast. Four states (Virginia, New Jersey, North Carolina and Maryland) have declared states of emergency as they brace for Irene. CNN.com is also covering the latest developments on Hurricane Irene and the evacuation efforts. CNN is live-blogging on their breaking news blog, This Just In and is providing users with state-by-state updates. Users can also follow CNN.com’s interactive hurricane tracker and view photos of the storm moving towards the East coast. 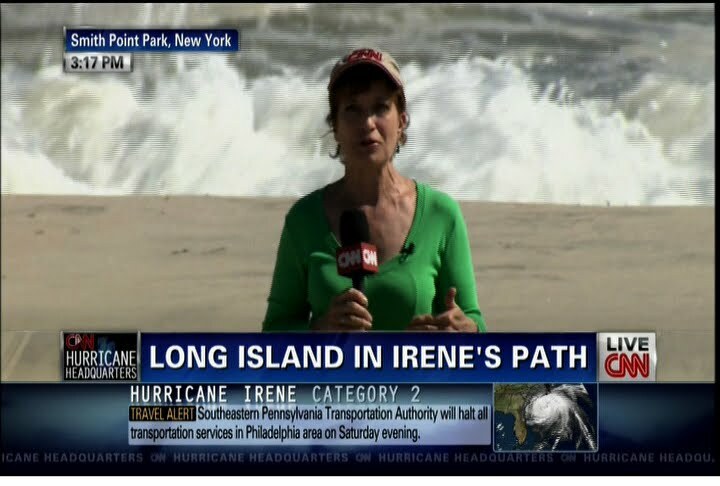 CNN iReport has also launched Open Story: Hurricane Irene to provide a timeline of reports from CNN journalists and iReporters about the hurricane and evacuation efforts. While, we mourn for them.